Created a phone application based on the experience I had at "Fortune Teller Bar" in St. Louis. The bar itself is witchcraft themed and filled with strange objects-- from taxidermied animals, to potions and bottles. The most important part of the Bar's experience to me was small side room to the side that looked like a witch's apothecary where a lady would read your tarot cards. I decided to make an app that would act like a pocket tarot deck, in order to bring a modern approach to the ancient tradition. Tarot card decks are very extensive, hard to bring around, and they take years to master and memorize the meanings of each card and spread. I wondered if there was a way to provide the tarot experience given in this mysterious old-timey bar, but also make it available in the palm of your hand. I wanted to avoid using classic witchy colors such as orange or purple because I felt that would make the piece feel tacky. I ended up going with a much darker color palette, using a dark blue background with rich emerald colored touches. 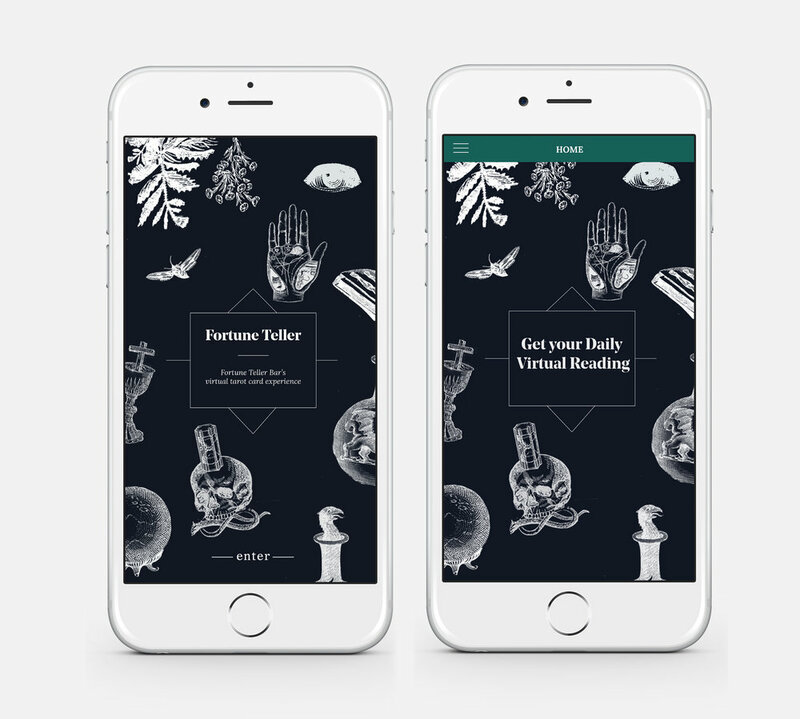 The app had five sections: A basic lesson guide (teaching rules of tarot), card reading, a card database, an about page (to give information about this app/Fortune Teller Bar), and a home page.